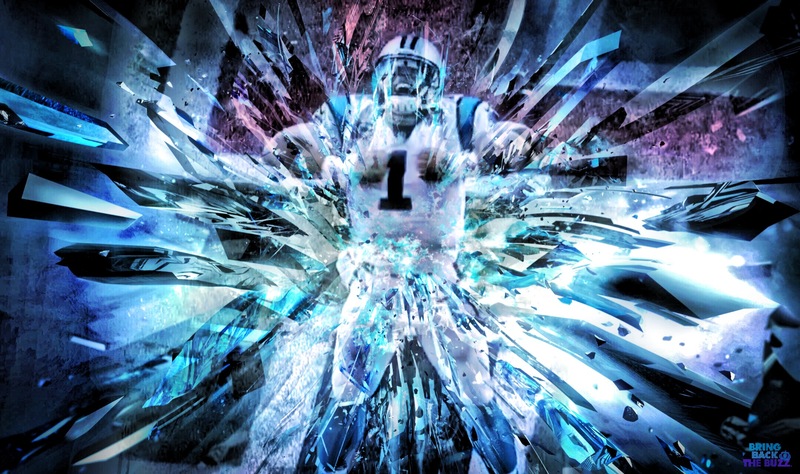 Is Cam really worth $100 Million? There is no quarterback in the league that brings to the table what Cam Newton does physically. 6′ 6”. 260 pounds. 4.59 40-yard dash as a rookie. One of the strongest arms in the league. There is no Quarterback that on paper that has what Cam Newton has. So when Cam was signed to a 5-year $103.8 million contract on Tuesday, with $60 million in guaranteed money, you can see the reasoning behind it. Contrary to what a lot of critics say, Cam is a franchise QB. He has the tools to take a team to the Super Bowl and make the Pro Bowl season after season. But nobody is claiming that he is perfect. For all the skills Newton has, he hasn’t exactly parlayed them and turned them into massive amounts of success on the field. He is still not a 60% passer in his career. He is one of the most inaccurate quarterbacks in the league, often overthrowing receivers by multiple feet. He still isn’t the greatest decision maker, and it seems when he starts going downhill, it doesn’t stop. I think a good comparison to 2015 Cam Newton is early career Donovan McNabb. At the beginning of his career, McNabb was a very good athlete with serious accuracy problems. Any Eagles fan can recall pulling their hair out watching McNabb bounce passes into open receivers. As he got older and more experienced in the league, he became more of a natural pocket passer, and used his athleticism as a last resort. Over his four years in the league, Cam has drastically improved on this. As a rookie, when Cam’s first read wasn’t open, he was running. Now, he progresses through his reads and resorts to running when he has no other choice. That running is also something that opposing coaches have to plan for when playing the Panthers Cam has yet to have a year where he has less than 500 yards rushing, which is something that is often looked over when looking at his career stats. Thankfully, Dave Gettleman realizes Cam’s biggest weakness, his accuracy, and addressed it by adding mammoth sized receivers. Greg Olsen, Kelvin Benjamin, and 2015 2nd round pick Devin Funchess are all 6′ 5″. When Cam typically is wild with his throws, he is wild high. Having guys that big lowers the chance of overthrows. To all of the people who say Cam is getting way too much money for his career 30-31-1 record, go ask the Jets, Browns, and Bills if they would pay that money for Cam. In a heartbeat they would. When you have a franchise quarterback who still hasn’t reached his full potential like Cam, you pay him whatever it takes to keep him in Black and Blue. You CANNOT let Cam walk out the door, because it can take years and years to find another quarterback of the future. You can be like the Browns picking in the top 10 year after year hoping to find that quarterback, or you can lock Cam up and be set for the future. It is 2015, and quarterbacks that are even borderline franchise cornerstones get paid. Last week, Ryan Tannehill finalized a 6-year, $97 million extension with the Dolphins. Cam has shown way more potential and improvement in his last few seasons than Tannehill has. (Don’t comment and tell me about Tannehill’s stats last year. They were good, but he was running Bill Lazor’s hurry-up and short pass offense, which inflated Tannehill’s stats.) I would venture to say that most of the leagues GM’s would sign Cam for his contract before they would sign Tannehill for his. Yes the contract is massive. Yes Cam hasn’t exactly become elite on the field yet. Yes Cam in not a complete quarterback at this stage in his career. All that being said, you pay the man whatever it takes to keep him at Bank of America Stadium because he has the potential to win you a Super Bowl. ← POLL: Does a Warriors Win or Loss bode better for a Charlotte homecoming for Stephen Curry?